What to eat in Ben Tre, this is one of important thing when you discover a new place, special in Ben Tre. 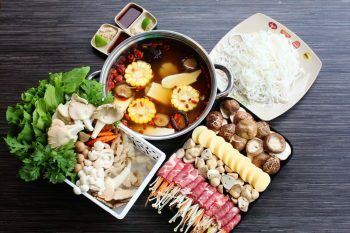 Now, let’s explore together; after that, you will suddenly recognize tour Ben Tre cuisine is simple but tasty like Ben Tre people. 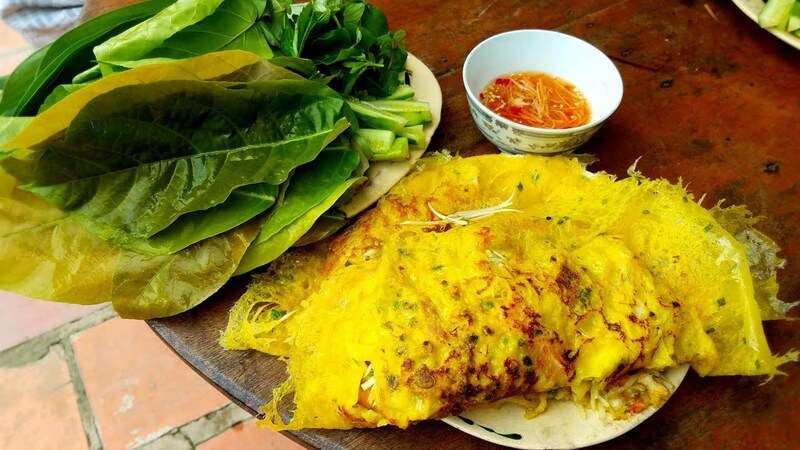 Banh xeo (pancake) is not such a strange dish to Southeast region, but Snail pancake is a special dish of Phu Da (Cho Lach district – Ben Tre). This is rare place which has the most quantity of rice snail. Every year, April and May in lunar calendar are the season of breeding for Rice snail, especially in Mid-year festival (5th of May in lunar year). On this occasion, Ben Tre tour will bring tourists come to this place to enjoy delicious dishes made from Rice snails. This type of snail can be made of various dishes, from simple steamed, salad, grilled, fried, etc. However, snail pancake is beyond excellent. Sprinkling the whole cake with chili sauce, such taste to make people want to do more and more. This is quite sophisticated and requires to be patient. To cook this dish, the rice should be carefully selected, the rice is covered with coconut milk, drained and put in the coconut water. In addition, the coconut used to cook this dish must be Siamese Coconut. Coconut rice is usually served with roasted shrimps. 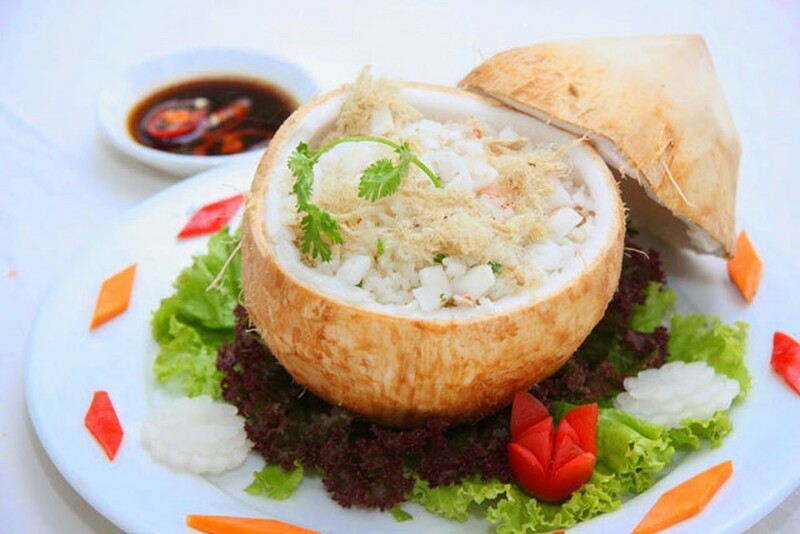 Places to eat famous coconut rice in Ben Tre: floating restaurant Ben Tre – Ben Hung Vuong, Ben Tre – Ben Tre eco tour. 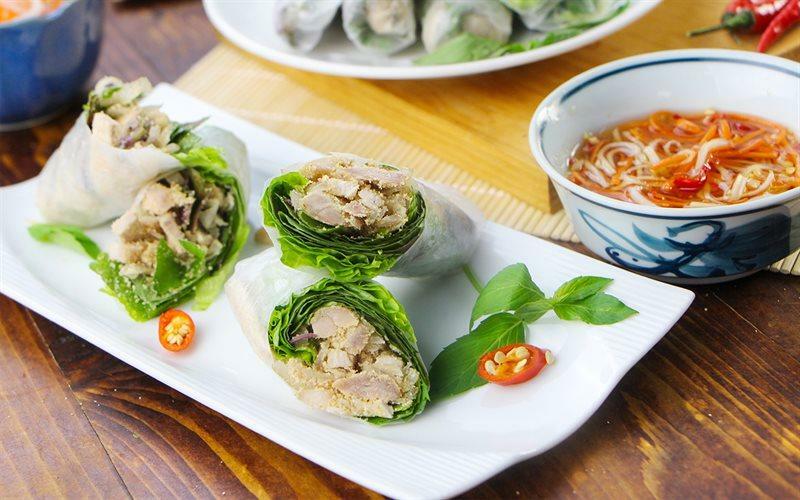 To discover Mekong Delta, especially in Ben Tre day tour, you should begin by trying food, and don’t forget the name of Shredded pork rolls. Now, it has become a unique specialty. Such rolls include vegetables, pork side, vermicelli. When you eat this dish, wrap and roll, and use with garlic & chili sauce, you can taste the sweetness of vermicelli, the freshness of vegetables mixed with sour chili sauce. All will create a very interesting dish in the hot summer days. It is recommended to eat shredded pork rolls in Di Hai Thoi restaurant, 9 Le Loi Street, Ward 2, Ben Tre City. 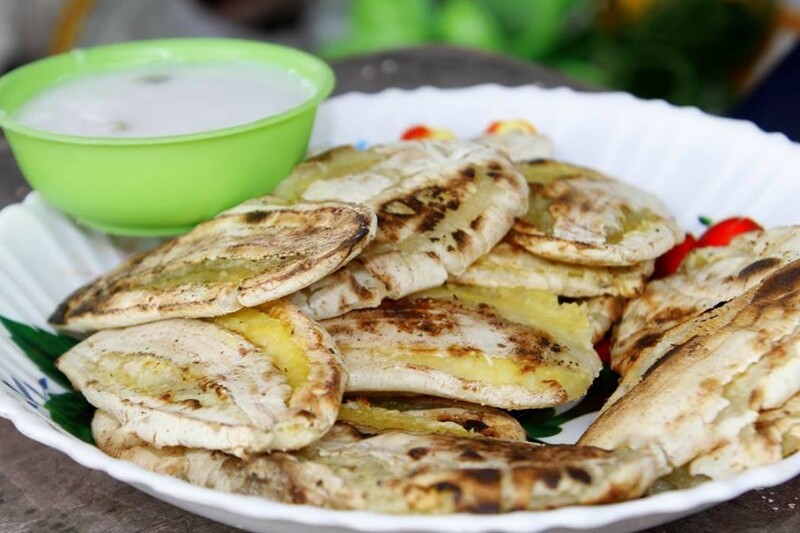 This nosh is associated with childhood of many Ben Tre people. Fattened bananas are only sold by street vendors as normal. Bananas here are ripe, fattened, and baked. This dish will be eaten with coconut milk. 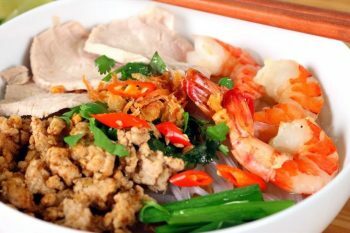 You can find this dish in the small restaurant along the Truc Giang river bank, in front of Ben Tre town hospital gate. 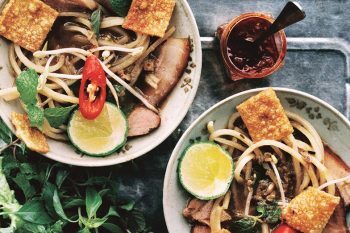 Duck noodle in Ben Tre is usually cooked with duck and used with ginger sauce. Such noodle is cut into small pieces. 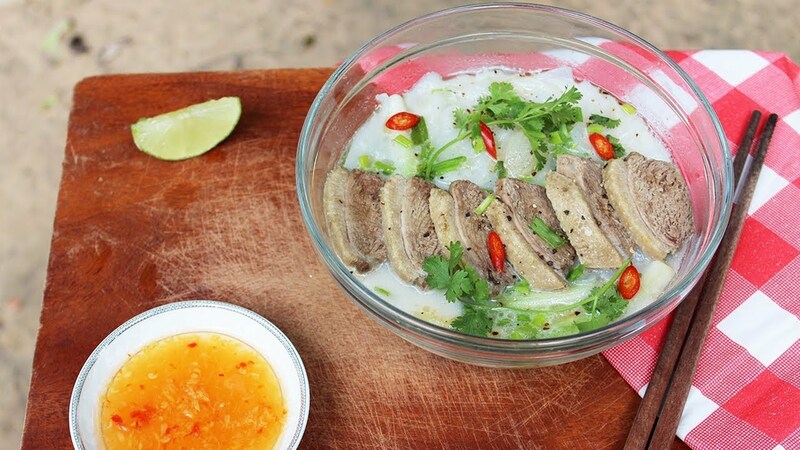 Duck meat has white color and soup has good taste that you never forget this if try one time only. 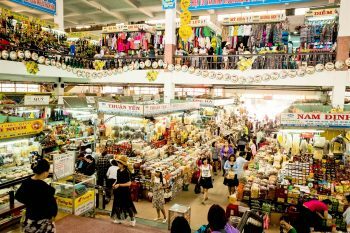 You can find the one of the best duck noodle restaurants in Ba Mu bridge market, Nguyen Hue, Ward 4, Ben Tre city. 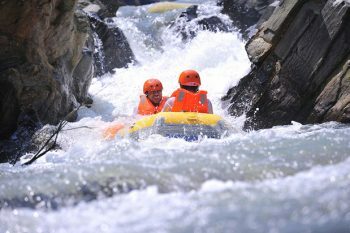 It is true to say that these dishes will bring you an unforgettable memory while you travel in Mekong delta, Ben Tre adventure tour. One day, you will realize that this will not come from an expensive thing, but tasty and cheap dishes.